This week’s parasha, Vayikra, begins the third book of the Torah. 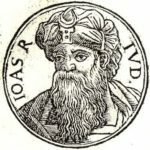 The parasha is unique in that it is only one of two parashas (along with next week’s Tzav) where the word Mashiach appears. All four cases of the word in the Torah refer to the anointed High Priest, not to the messiah at the End of Days. Nonetheless, on a deeper level it certainly is alluding to the messiah of the End of Days. All the verses in question deal with the anointed High Priest (“HaKohen HaMashiach”) atoning for sins—both his own and the people’s—and purifying his nation. Indeed, one of the roles of Mashiach will be to prepare Israel for that final purification at the End of Days. This includes identifying one last Red Cow to produce those special waters which alone are capable of removing the impurity of death. 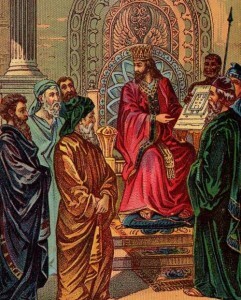 For the Christians, Jesus was the ultimate anointed high priest. Yet, Jesus accomplished essentially nothing of what Mashiach is supposed to. This was perhaps best explained in the 16th century by Isaac ben Abraham of Troki (1533-1594). He was a Karaite Jew, and a renowned Karaite scholar. His magnum opus was a book called Hizzuk Emunah, “Strengthening of Faith”, written to debunk Christianity, silence missionaries, and convince Jews to remain Jewish. The book was so popular that it spread like wildfire, not just among Karaites but all Jews, and even Christians. In fact, it played an important role in the start of the Enlightenment, leading countless Christians to abandon their faith. One of these was the French philosopher Voltaire (1694-1778), who called the Latin translation of Hizzuk Emunah (first published in 1681) a “masterpiece”. 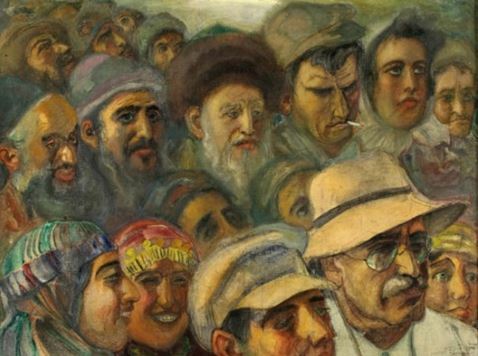 Because it was a Karaite text, traditional rabbis were wary of consulting it. The great Rabbi Menashe ben Israel (Manoel Dias Soeiro, 1604-1657), who opened the first Hebrew printing press in Amsterdam in 1626, ultimately refused to print it. Still, Abba Hillel Silver, in his A History of Messianic Speculation in Israel (pg. 225), points out how Troki’s text borrowed from earlier Rabbinic texts, including Mashmia Yeshua, “Announcing Salvation”, of Rabbi Isaac Abarbanel (1437-1508). Silver goes on to summarize the sixth chapter of Troki’s Hizzuk Emunah, which includes a list of twenty clear prophecies in Scripture that must be fulfilled upon the coming of Mashiach—none of which were fulfilled by Jesus (thereby necessitating for Christians some future “second coming” yet to materialize after nearly two millennia). Briefly going over these twenty events is enlightening both as a reminder for why Jesus could not be the messiah, and for what to expect when the true Mashiach does come. The first prophecy is the return of the Lost Tribes of Israel. In ancient times, following the reign of King Solomon, the Twelve Tribes of Israel split into two kingdoms: the southern Judah and the northern Israel (or Ephraim). The more sinful northern kingdom was eventually overrun by the Assyrians, who exiled its tribes. These are sometimes referred to as the Ten Lost Tribes. It should be noted, though, that they weren’t necessarily ten tribes, nor were the tribes completely expunged. 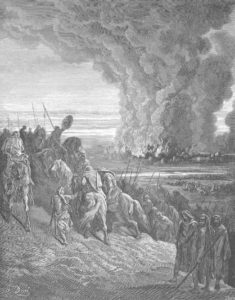 In reality, there were many Benjaminites, Simeonites, and Levites already living inside the Kingdom of Judah, and members of all the northern tribes fled to Judah when the northern kingdom was destroyed. 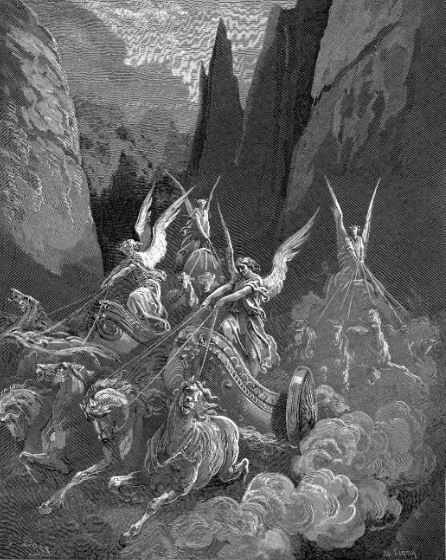 Related to this is the second great prophecy, that of Gog u’Magog. This refers to the great world war at the End of Days, described in detail in Ezekiel 38, among other places. 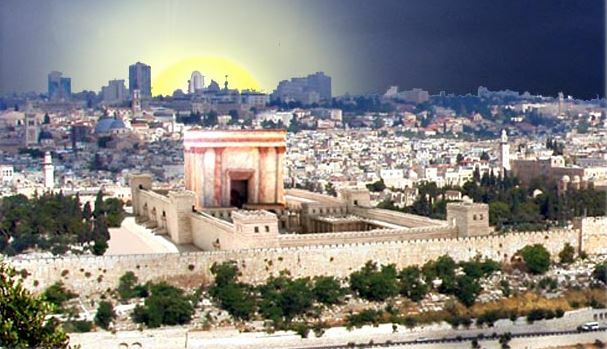 During the course of this war, Zechariah 14:4 states that the Mount of Olives in Jerusalem will be split in half. Then, new “living waters” will go out of Jerusalem to make Israel flourish (Zechariah 14:8). Meanwhile, Isaiah 11:15 states that God “will utterly destroy the tongue of the Egyptian Sea; and with His scorching wind will He shake His hand over the River, and will smite it into seven streams, and cause men to march over dry-shod.” The identity of the “Egyptian Sea” and the “River” is unclear, though Silver has it as the Red Sea and the Euphrates. On the possibility of the Red Sea drying up, we know today from geological records that the Red Sea had once (and possibly more than once) become a dry chunk of land due to the narrow and shallow Bab-el-Mandeb closing up. As for the “River”, in context it would make more sense if it referred to the Nile, the lifeline of Egypt. Today, we are indeed seeing the Nile drying up rapidly, and the Washington Post recently reported that the Nile Delta is losing as much as 20 metres per year in some areas. 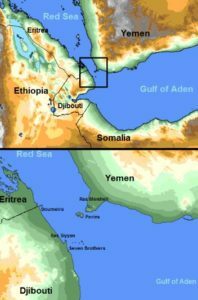 With this in mind, when Isaiah prophesies that the “tongue of the Egyptian Sea” will be destroyed, it may be referring to the Nile Delta, which opens up into the Egyptian Mediterranean, ie. the “Egyptian Sea”. The Post article is quite an accurate realization of Isaiah’s prophecy, with images of men that “march over dry-shod”. “…upon horses, and in chariots, and in litters, and upon mules, and upon swift beasts, to My holy mountain Jerusalem,” said God, “as the children of Israel bring their offering in a clean vessel into the house of God. And of them also will I take for the priests and for the Levites,” said God. “For as the new heavens and the new earth, which I will make, shall remain before Me,” said God, “so shall your seed and your name remain. And it shall come to pass, that from one new moon to another, and from one Sabbath to another, all flesh shall come to worship before Me, said God. The gentiles—“all flesh”—will come to Jerusalem, upon every kind of transport. One of these is a rekhev, “chariot” in ancient Hebrew, and “vehicle” in Modern Hebrew. 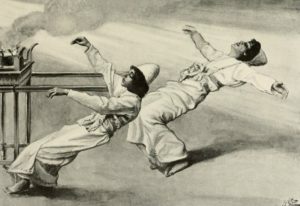 Another two of the transports are unique words that aren’t found elsewhere in Scripture and are impossible to translate: a tzab, and a kirkar. It is possible that the former refers to some kind of slow transport (as the word is written the same as that for a “turtle”) while the latter conversely refers to a very fast form of transport. In our day and age we have no shortage of either. Troki lists separately a related prophecy from Zechariah (14:16): “And it shall come to pass, that every one that is left of all the nations that came against Jerusalem shall go up from year to year to worship the King, the Lord of Hosts, and to keep the feast of tabernacles.” Once a year, during the holiday of Sukkot, those nations that warred against Israel at the End of Days will come to Jerusalem to worship. 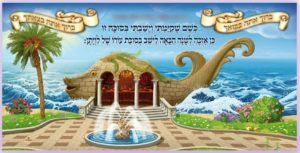 The fact that it must be during Sukkot is no coincidence, for it is during Sukkot that our Sages say the offerings in the Temple atone for all the gentiles. This is why the Torah requires seventy bulls to be offered over the course of the holiday, corresponding to the seventy root nations of the world. Israel will finally be completely righteous and free of sin (Deuteronomy 30:6, Isaiah 60:21, Ezekiel 36:25), and lead the rest of the world in doing the same (Jeremiah 3:17). There will no longer be any kind of suffering or sorrow in Israel, for the prophet said “the voice of weeping shall be no more heard in her, nor the voice of crying” (Isaiah 65:19). 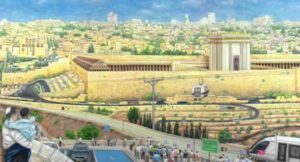 Finally, the prophet Eliyahu will return (Micah 3:24), and the Temple will be rebuilt (Ezekiel 40-45). The Shekhinah will return to Israel (Ezekiel 37:26), as will the ability to prophecy (Jeremiah 31:32-33), and there will be great knowledge in the world (Isaiah 11:9). The Holy Land will be redistributed among the Twelve Tribes of Israel (Ezekiel 47:13). Lastly, at the very end, will come the long-awaited Resurrection of the Dead (Daniel 12:2). This entry was posted in Mashiach & End of Days, Prophecy and tagged Abba Hillel Silver, Birthpangs of the Messiah, Daniel, Elijah/Eliyahu, End of Days, Euphrates, Ezekiel, Footsteps of Mashiach, Gog u'Magog, High Priest, Hizzuk Emunah, Ingathering of Exiles, Isaac Troki, Isaiah, Jeremiah, Jerusalem, Jesus, Karaite Judaism, Kingdom of Israel, Kingdom of Judah, Mashiach, Mediterranean Sea, Messiah, Micah (prophet), Mount of Olives, Nile, Prophecy, Red Cow, Red Sea, Resurrection of the Dead, Rosh Chodesh, Shekhinah, Sukkot, Ten Lost Tribes, Third Temple, Twelve Tribes, Vayikra, Zechariah on March 12, 2019 by Efraim Palvanov. Since we are talking about the month of Tishrei (then known as Eitanim), the seven-day festival must be Sukkot, and the eighth day that is mentioned must be Shemini Atzeret. The text says that the festival was fourteen days, an extra week in honour of the Temple inauguration. That means Sukkot started a week early, on the 8th of Tishrei. If that’s the case, what happened to Yom Kippur, on the 10th? The Talmud (Mo’ed Katan 9a) surprisingly states that Yom Kippur was not commemorated that year, as it was superseded by the Temple’s inauguration! But how could such a thing be done? Yom Kippur is a clear commandment from the Torah! What gave Solomon and his elders the authority to negate a Torah mitzvah in order to throw a party? The Midrash famously prophesies that a day will come when all the current holidays will be nullified (except for Purim, according to most opinions). Meanwhile, Zechariah prophesied that all the fast days will be transformed into feast days (Zechariah 8:19). When will this happen? When Mashiach comes, of course. And who is Mashiach? Mashiach is a descendent of King David, who establishes a united Jewish kingdom in the Holy Land, builds a Temple in Jerusalem, and brings peace to the world. Solomon was the son of David, ruled over a united Jewish kingdom, built the first Temple, and successfully brought peace to the whole region, if not the whole world. (According to tradition, there were no wars at all during Solomon’s reign, hence his name Shlomo, which means “peace”.) Solomon fit the bill of Mashiach perfectly, and was quite literally Mashiach ben David. And it shall come to pass, that every one that is left of all the nations that came against Jerusalem shall go up from year to year to worship the King, the Lord of Hosts, and to keep the feast of tabernacles. The prophet Zechariah stated that after Mashiach’s coming, the land of Israel will finally be secured for the Jewish people, and once a year—only once a year—all the nations of the world will come to celebrate together with the Jews. What will they celebrate? The feast of tabernacles, Chag haSukkot! All of the above begs the question: was King Solomon the prophesied messiah? It appears Solomon should have been the messiah, but unfortunately failed to fulfil this role. As is well-known, Solomon’s taking of one thousand wives and concubines was not for his personal pleasure, God forbid, but in order to make peace treaties with all the surrounding nations and kingdoms, and to introduce them to monotheism. Had he been successful in this, Solomon would have been Mashiach. Instead, Solomon was unable to control those wives and concubines, and they turned him to idolatry. To be fair, it is highly unlikely that Solomon himself participated in idolatrous practices. 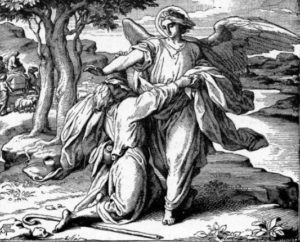 Rather, because he was unable to reign in his wives, and his palace had become filled with idols, the Heavenly Court considered him personally responsible, and Scripture describes it as if Solomon himself fell into idolatry. We read that Solomon’s reign lasted 40 years. This is, in fact, the prophesied length of time that Mashiach is supposed to rule (see Sanhedrin 99a, and Midrash Tehillim 15). It was also the length of David’s reign, and the righteous kings Asa and Yehoash. It appears all of these were potential messiahs. The same is true for Moses, who led the Israelites for 40 years. According to tradition, had Moses entered the land with the people, the Temple would have been built, and the World to Come would have been ushered in immediately. 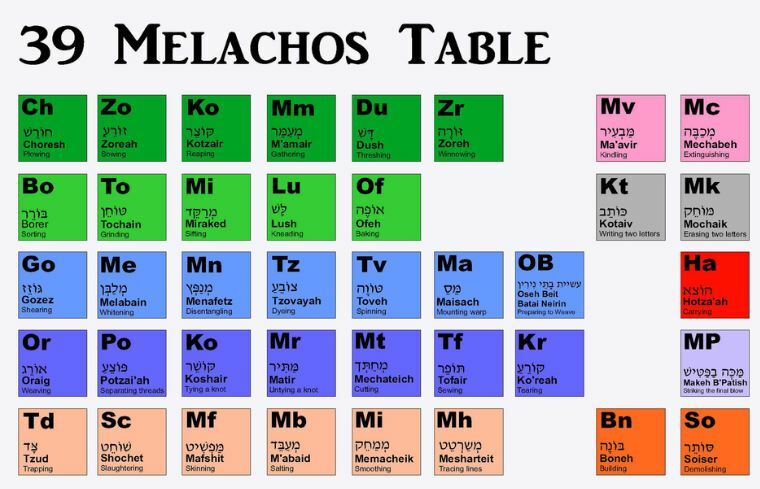 This entry was posted in Holidays and tagged Asa, Book of I Kings, First Temple, Haftarah, Holidays, Idolatry, Jerusalem, Joash, King David, King Solomon, Mashiach, Mashiach Ben David, Messiah, Midrash, Mo'ed Katan (Tractate), Moses, Peace, Prophecy, Sanhedrin (Tractate), Shemini Atzeret, Sukkot, Tishrei, Yom Kippur, Zechariah on October 3, 2017 by Efraim Palvanov.